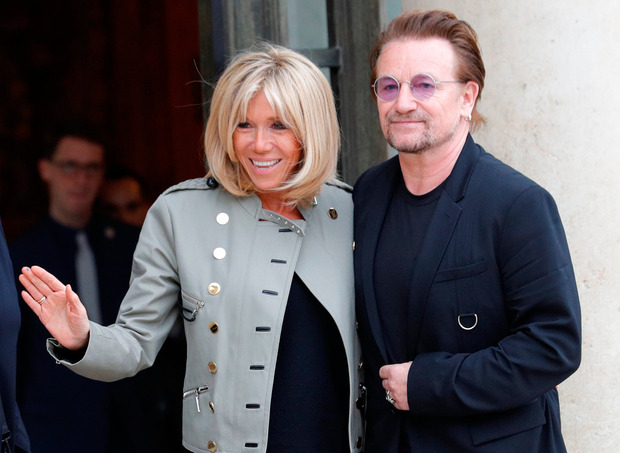 U2's Bono took time out ahead of the band's shows in Paris this week to meet French President Emmanuel Macron at the Elysée Palace for talks about poverty. Bono met Mr Macron for more than an hour yesterday to discuss the singer's non-governmental organisation ONE, which is working to tackle extreme poverty and preventable disease, particularly in Africa. The singer was awarded the Legion of Honour, the highest French order of merit for military and civil merits, in 2003. The band take their Joshua Tree Tour to the Stade de France in the capital today and tomorrow. WATCH: The man, the myth or the legend? - Here's what people really think of Bono!